If you've been visiting with me over the years then you will be very familiar with my love for home grown summer flowers, and you will know that I love love love having a small posy in a little jug on my table. It's such a joyful, cherished part of my summertime and I never get over the happiness that home grown flowers bring. I don't always manage to have sweet peas every year as I'm ridiculously disorganized and very rarely manage to plant seeds at the right time. This year I predictably missed the seed sowing, so I splashed out and bought ready grown sweet pea seedlings which were delivered through the post. Honestly, you wouldn't think it possible to send a parcel containing baby plants through the post would you? But it is miraculous and the plants arrive beautifully wrapped in tissue paper so that both the precious roots and the delicate shoots are perfectly protected, super healthy and ready to grow, grow, grow. Due to the very, very hot summer weather, my allotment sweet peas didn't really grow in glorious abundance. However, there were enough flowers to give me a small posy every week through the summer months. In fact, I picked the very last bunch on 22nd October, so they lasted really well and oh, I did enjoy them! So so much. See what I mean? Formality, with a capital F. Hugely competitive too, crikey, you could fair feel the tension in the air as so may top sweet pea growers from all over the UK fought to win with their blooms. I somehow expected the flower colours to be mixed and I found the rigid segregation very uneasy on the eye. It was all rather prim and proper, and I found myself feeling rather sorry for the sweet peas, forced to stand to attention in their competition-grade green vases. I wanted to hug them all together and put them into some roomy jugs so that they could mingle with their different coloured neighbours, breathe out and relax! Despite the formality, the flowers themselves were really spectacular. I spent a long time admiring them, sticking my nose into the blooms and inhaling (I was the only person there who did this - nobody else seemed to be bothered), and gazing at the huge variety of colour. I love that even the soft pastel colours of sweet peas seem to look bold somehow, like they are shouting their gladness for the summer season. I came out of the show feeling very inspired, and although it wasn't quite my style (give me a mixed posy in a jug any day) I certainly felt uplifted by all the glorious floral colour. The very, very, very best thing about the sweet pea show was the fact that you could buy mixed bunches to take home. They were displayed in big buckets outside, and the ladies who were selling them for £2 a bunch were extremely lovely. They chatted to me about all the names of each different variety, and were obviously so passionate about their flowers, it made my heart swell. I bought three big bunches to bring home, and oh my giddy aunt, they were utterly, utterly beautiful. I just couldn't stop looking at them, playing with them, sniffing them and photographing them. It was a sensory summer overload! I love sweet peas for their scent most of all, but this year I began to pay special attention to the huge variety of colour found in those fragrant petals. I'm not especially a lover of pale pastels, but the vibrancy of these sweet peas totally amazed me. Yes there were creamy white flowers and the palest of soft pinks, but there were also stunningly bright magenta and hot pink shades, and the most beautiful deep bluey-violet colours too. When the pastels are mixed with the brights, something magical happens - the resulting medley of colour is like a pure hit of nostalgic summertime. It's warm sunny days and happy childhood memories, lazy afternoons in the garden and bare toes in cool grass. It's sweet and slow, warm and delightful. Total summer feel-good in those colours! My ideas for a sweet pea blanket began to spin and twirl once I started playing with the flowers. I am endlessly inspired by the seasons and sweet peas are the epitome of Summer. They also hold many layers of childhood memories for me as my Mum adored sweet peas and grew them every year. It was hugely satisfying having real living flowers to guide me in my colour choices - there are thousands of sweet pea photos on the internet and I already had seeds packets and plant catalogues to refer to. But in my experience, nothing beats getting up close and personal with the essence of ones inspiration! In the end, the floral colours came together very easily as the range of Stylecraft Special DK contains lots of really beautiful pinks and purples to choose from. My biggest deliberation was over the greens and I faffed with them for ages. I ended up going up to the allotment and cutting some stems and leaves to bring home so that I could see the variation of greens in real life. I also tried very hard to get the overall balance of the colour palette right - by that I mean the balance between the greenery and the petals, and also the balance between the very pale colours and the deeper tones. I think I've managed to create a very harmonious colour palette which will work really well when translated into a striped blanket design. And it's so impossibly pretty to look at, don't you think? This palette of colours is certainly very easy on the eye and very uplifting (like a bright, warm summers day) and I'm certain that as these yarn colours begin to transition into crochet stripes, those summer vibes will be flowing. I can't wait!! ....this is my new pattern called the Trellis Stripe, and is a very simple combination of small stacked shells (representing the climbing sweet pea flowers) and neat lines of trebles (representing the trellis). The pattern was inspired by my allotment sweet peas (in the photo below), which I grew up a rather rustic, cobbled together trellis made out of bamboo canes and string. My home made trellis looked a bit messy and rather flimsy, but it worked a treat and managed to last through the whole of the summer until a storm swept through in October and blew the whole lot to the ground. This stitch pattern is a doddle to work, and I've designed it especially with beginner crocheters in mind. Once you've worked the first two set-up rows, every row is the same and uses only one stitch (a UK treble crochet / US double crochet), making the pattern easy to memorise and hook. These breezy treble rows are relaxing, fast and highly addictive, and the resulting crochet fabric is soft and lightly textured. It also has the advantage of looking the same on both sides (so there isn't really a right and wrong side) and having straight edges (no lumps or bumps to try and hide). I'm so happy with it! I'll be sharing the pattern here on my blog at the start of the CAL on Friday 4th January. I'll also be making my usual photo-heavy tutorial to give you step by step guidance for working the Trellis Stripe. I hope you like it as much as I do. During the past few months I've spent a long time working with the sweet pea colours and playing with different stripe variations. I've made sooooooooo many samples (including a third of a whole blanket which I had to abandon when it just didn't feel right), and after much deliberation I've come up with two different stripe options. I'll be telling you more about this when the CAL begins in January - they are both extremely lovely, and I can't wait to show you more. Sadly, sweet pea season is over now in the Northern hemisphere, and I admit to being rather jealous when I hear about those of you on the other side of the world just beginning to look forward to your flowers blooming. I've got oodles of photos to refer to though, and of course my bag of yarn which is like sweet pea summer heaven. I'm so excited to begin on the Sweet Pea blanket journey - it'll be like having a soft wave of summer to carry us through the cold grey months of winter, oh I can't wait!!!! ............I'm talking about planner stickers!!!!!!!! Yippeeeee for pretty sticky things!!!! My lovely friend Rachel of EllieBethDesignsUK has designed the most beautiful sticker sheet to help you plan and celebrate the Sweet Pea CAL. There are countdown stickers and stickers for the weekly installments as well as lots of crochet and floral pretties. Even the stripes down the left hand side are a big long sticker too (like beautiful washi tape), and oh the colours are just perfect and totally sweet-pea-ish. If you don't have a planner, you can use these stickers on a calendar or in a diary. If you fancy treating yourself or buying as gifts for hooky sticker-loving friends, you can use the code SWEETPEA at the checkout and receive 15% discount off all planner stickers. All planner stickers can be found at ElliebethDeisgnsUK. *discount code is one use per person. I am absolutely smitten with these yarn colours and the way they look all together, and I'm so so excited for the blanket to begin. Just a reminder that there is no need to sign up for this CAL - it's all very relaxed here in the Attic so all you need to do is gather your yarn together and join in when the pattern is released in the New Year. ♥ The Attic24 SWEET PEA CAL will will run for 8 weeks in total, beginning on Friday 4th January - that'll be the day when the pattern will be published here on my blog and I'll give you all the information you need to get started. I'll then give weekly updates every Friday throughout January and February 2019 so that we can make the most of weekend hooky time. ♥ There will be a full picture tutorial here on my blog for the new Trellis Stripe pattern. Each week I'll share the colour stripe order for the two different versions of the Sweet Pea blanket I'm making. ♥ The SWEET PEA YARN PACK contains 15 x 100g balls of Stylecraft Special DK and is enough to make one blanket/throw. There is no printed pattern included in this pack, all pattern info will be here on my blog, with updates every Friday throughout January and February 2019. ♥ The Sweet Pea blanket will measure approx. 120cm x 175cm. You will need two packs if you wish to make a larger/double bed size blanket. I'll give starting chain/pattern guidance for those of you wishing to make larger (or smaller) blankets. I really hope these colours inspire you to create a beautiful blanket for your home or to give to someone special. EDIT TO ADD >> Wednesday >> Thank you so so much to everyone who bought a Sweet Pea yarn pack yesterday, I am so happy to have you join me on this colourful blanket journey in January. Is the Sweet Pea Blanket pattern all together somewhere? Thank you. For those who can not find the pattern, if you look almost at the top of this post, on the left is a section headed 'Recent Posts' where there are links to the posts with each stage of the pattern. As I write now there are 5 parts posted, with more to come in February. It is such a lovely pattern and colour scheme, I do not have anyone to make it for, but am SO tempted to get the yarn pack and make it! Where can I find the pattern please , just joined so very behind & not ordered wool yet either . I've only just discovered your SweetPea Cal. 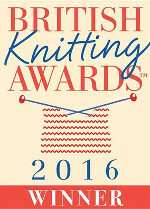 Very excited to join in but will have to wait until the yarns arrive from the UK......I'm in Australia. I tried to subscribe but the option just took me to Apple, so am a bit confused. With the shocking heat here at the moment, I imagine I will take a while to catch up,once the yarns turn up. Can take several weeks! Have also purchased the Woodland yarns as well. Both my parents are now living in a nursing home, as of this month and I wanted to create a blanket each to replace my hugs. You will understand when I tell you that they Live on the west coast and I on the East coast. We are a 5 hour flight away and it will mean so much to have something that I made. Hoping to have the two blankets completed in time for the cooler months. Look forward to sharing this journey with you and so many other crochet loving ladies. I only hope I can do you justice, since I'm not very experienced and only self taught from uTube. I am so happy because I just received my 2 packs of yarn for the CAL. I need to catch up! I cannot find the pattern to know what the order of colours are. Can you tell me where to find it please. Wish I had the next colours. Sat here waiting. Even sewn the ends in. Can’t wait till tomorrow. Could have done a few more rows this week. Hi, how do I contact you please. I'm struggling with the size the blanket it turning out. Hi, Lucy! I just came upon your Instagram page today and discovered this delightful CAL starting today! I’ll be excited to jump in—from across the pond! Pack ordered today my first Attic 24 cal. Love the colours and love working with Stylecraft. Looking forward to working this. Hi - I have purchased my yarn pack from you, as it is my intention to learn to crochet this year and I loved the colours for sweet pea blanket. However, I would prefer to do the squares, where will I find instructions for the pattern for these please? Hi Lucy! I'm very excited as I've never done a CAL before. Have ordered my wool and can't wait to start! Not done anything like this before!! I love your blanket CALs and have made several, tweeking colours occasionally, I know there very popular cos I saw quite a few recently on a sofa on GOGGLEBOX!!!! I just received my yarn and it is beautiful. all ready for the CAL to begin.